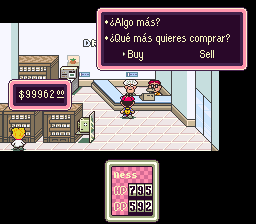 So, ShadowOne333 just finished his translation of EarthBound in LatAm Spanish the other day. MrMontolio helped a little with translation, and the active community at PKHack has REALLY put in a lot of work on helping several completed and ongoing translations, especially MrTenda, H.S, and TheKirby. Otherwise, ShadowOne333 put a TON of work into the project and has contributed to the ongoing translations of EarthBound, so he is pretty amazing for nearly doing this whole thing solo! 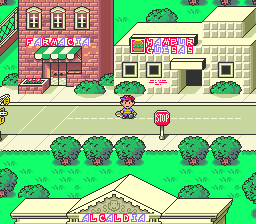 I’ve actually lost count of how many EarthBound translation patches there are now. The recent improvement of EarthBound hacking tools has helped make the process a billion times easier! Congrats ShadowOne333 and everyone who helped out with this translation! It’s really incredible to me, because ShadowOne333 was mostly focused on his project MaternalBound, and used what he learned from that to start making a translation almost as an afterthought. He ended up finding how to fix several of the major problems and holes we hadn’t been able to do with translations in the past and contributed a lot to the translation efforts in general that other teams are still benefitting from now. Translating EarthBound has come a long way from when I first attempted it back in 2007. It’s just crazy to me that a team of people can sit down and get EarthBound translated, hacked, and released in less than a year for some languages when it took all the previous efforts I know of several years as most of those faced quite a few restrictions and challenges that we’re overcome since to the great work of the PKHack community! Awesome, I remember trying another spanish translation some time ago and it was just terrible. 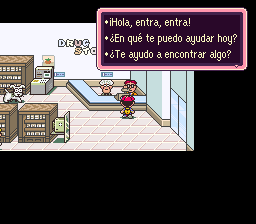 I stopped playing near the beginning when Ness mum began to talk in Spanglish. Aplausos para el maestro del hacking, y que viva latinoamerica! This is new? i try to play it the game in spanish one time but the translation was very bad for me, so i play them on english, i could understand the plot very well, it was an easy english. 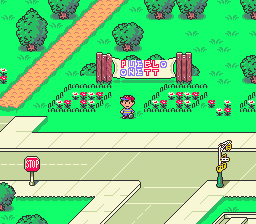 The first game of the NES, Earthbound Zero i played in spanish thanks to OAD, and Mother 3 thanks to the translation of Mato, I’d enjoy to thank him for his work whit this game. Whatever this look diferent, and good done, I’ll try it someday, thanks. Great! There are a lot of spanish/latin gamers who would like to play this game but they can’t understand english. Is all the game translated? 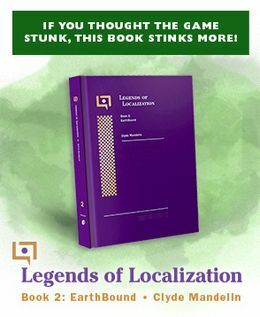 Yes, this is a new translation that I’ve worked on and finished it about the last few months of 2015. This has nothing to do with the previous translation and I can assure you that the translation is COMPLETE! Many, many thanks to TragicManner, CRefice and the_kirby for their comments and support and to Mato for posting the hack in this site! Hello and thanks for the translation. How do I play it in spanish on my PC?